Thomas B. Jeffrey‘s Rambler premiered in 1900 and the first models went on sale to the public in 1902. The Model E was new for 1904 – it was the most basic model the company offered. 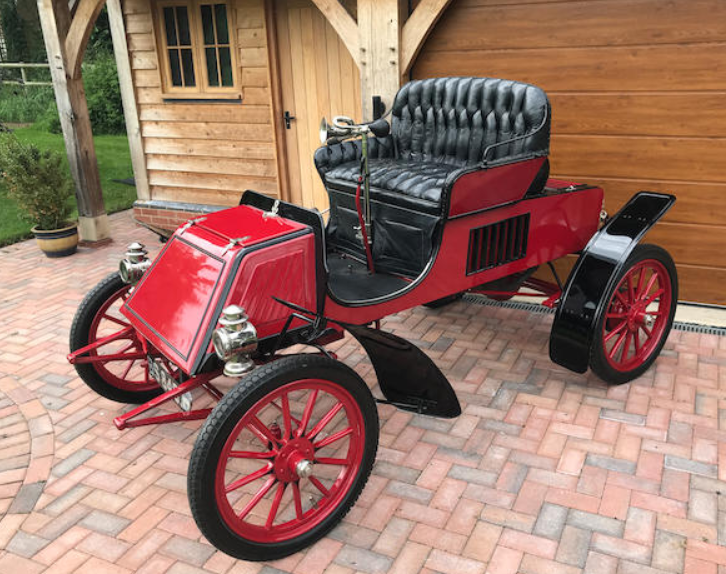 This car is listed in the catalog as a 1903 model, meaning it was probably built at the end of that year. Power is from a seven horsepower, single-cylinder engine. 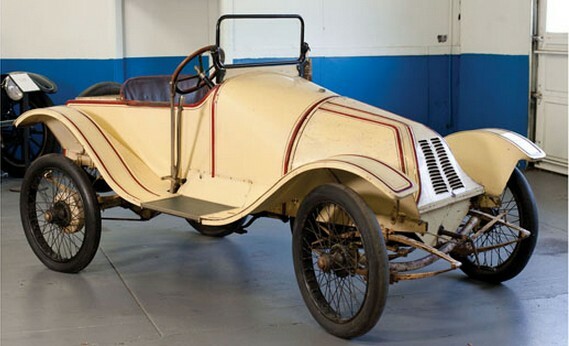 This car rides on a 78″ wheelbase, the shortest offered in 1904. It features tiller steering and seating for two. This car was sold new in Virginia, where it remained with its original owner until 1956. It was restored twice, most recently in 1995 and has competed in the London-to-Brighton run on multiple occasions. It should bring between $60,000-$66,000. Click here for more info and here for more from Bonhams. Herbert H. Franklin founded his car company in 1901 when inventor John Wilkinson convinced him he had a solid design for an air-cooled automobile. Franklins remained air-cooled throughout their lifetime and as time went on, their cars went more and more upscale, which ultimately cost the company its existence when the Depression started. The Franklin Model E was built between 1904 and 1906. It was Franklin’s light car for 1906 and is powered by a 12 horsepower straight-four. It was only offered as a two-passenger Runabout. This car was re-bodied at some point to resemble one of Franklin’s Speed trials cars. It is being offered out of a “barn find collection” and therefore is likely not a running, driving example but would be a great little project car. The detail on it is great, right down to the light pinstriping on the suspension. It should sell for between $25,000-$45,000. Click here for more info and here for more from this sale. Packard, which stands as one of America’s greatest automobile manufacturers of all time, was also quite the commercial vehicle manufacturer in their day. 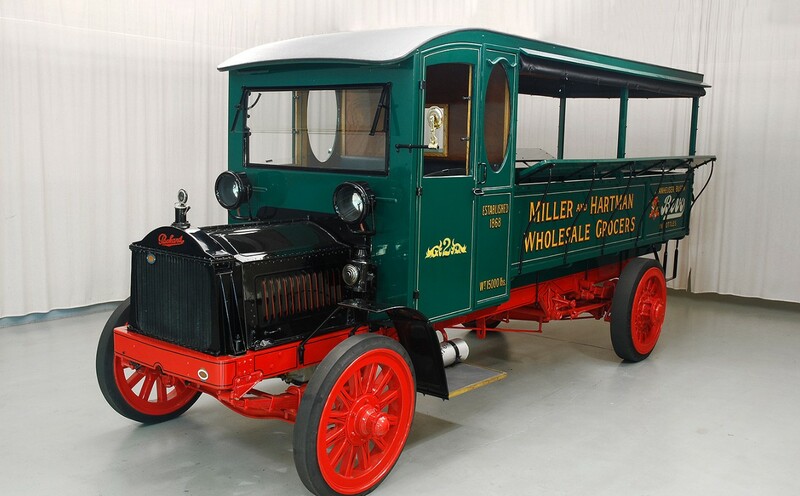 This behemoth was one of many such trucks built by the company between 1905 and 1923. It’s powered by a four-cylinder engine and has a 3-ton capacity. The truck is fabulously restored and has been painted with the name of a grocer in Pennsylvania who found the truck and had it restored. The grocer had their own fleet of similar trucks in the 1920s. Commercial vehicles tend to cease to exist after 30 years or so, so to find one that is almost 100 years old is incredible. It was restored to perfection about 25 years ago but it still looks amazing. If you own a grocery store, this is the vehicle for you. It is for sale in St. Louis for between $70,000 and $80,000. Click here for more info. The Flint was a motorcar sold by the Durant Motors Company for a few short years in the 1920s. Billy Durant’s story is an interesting one. After he was forced out at General Motors, he went out and founded his own General Motors, but called it Durant. It was to have a full line of automobiles, and included marques Durant, Star, Rugby, Locomobile, and Flint. The Flint was an assembled car, built out of parts Durant could buy on the open market instead of designing one from the ground up. Actually, the design of this car came with a factory he bought, a former Willys factory. The cars were produced in Long Island City from 1923 through 1924 before production shifted to Elizabeth, New Jersey and Flint, Michigan until 1926. The Flint factory ceased production a year before the rest of production halted in 1927. The Model E was the only car offered by Flint in 1923 and 1924. It uses a 65 horsepower straight-six Continental engine. 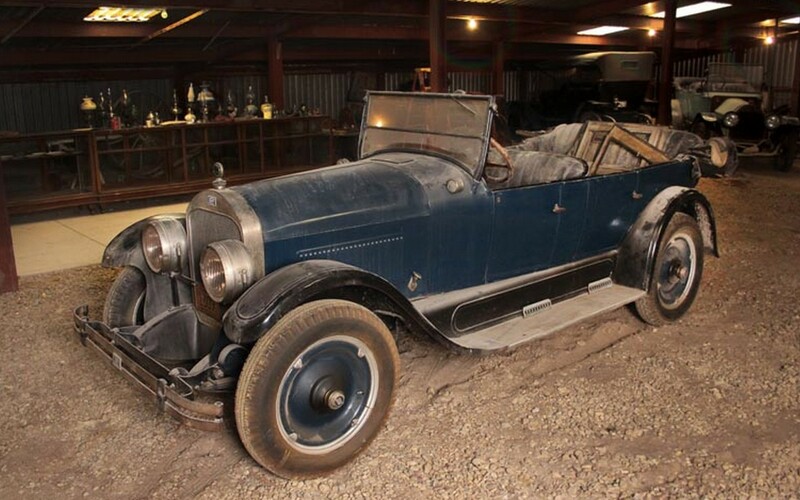 This original tourer has been in long-term storage and will need a bit of freshening before being roadworthy. At any rate it should sell for between $40,000-$60,000. Click here for more info and here for the rest of Worldwide’s auction lineup.